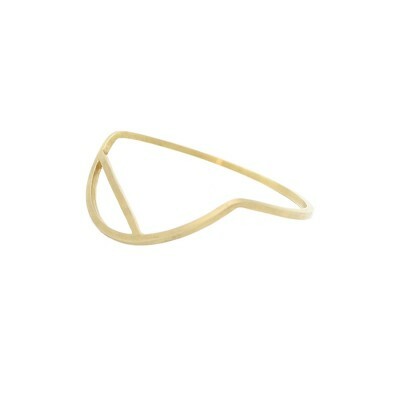 The bangle is part of the YUCCA collection, which plays with the relationship between lines and angles. 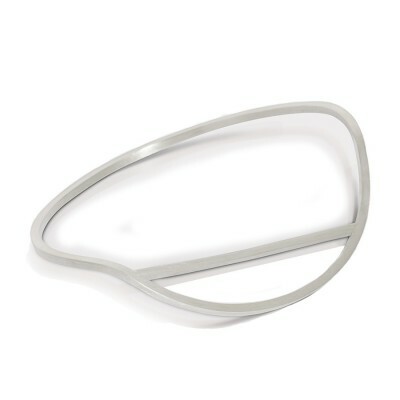 The idea for the design of the YUCCA bracelet came out of a process of abstracting the shapes found in succulent plants. By reducing the shapes down to their essential components, the result is a very clean cut and contemporary design, yet has its roots in the natural environment. 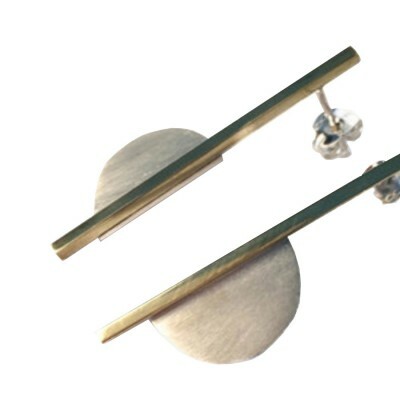 The clear, simple design is the hallmark of this collection and make this bracelet a special piece of jewellery that can be worn on any occasion. 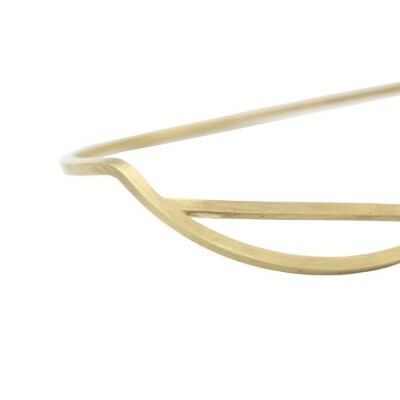 YUCCA bracelet is the perfect piece to catch all the looks and receive a bunch of compliments. 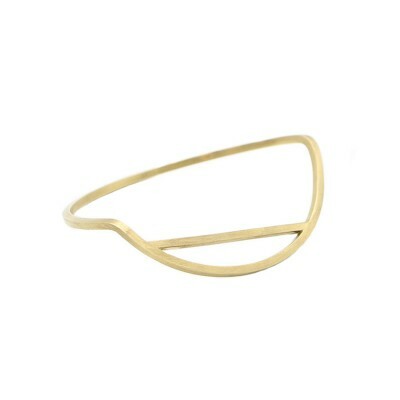 YUCCA is a simple bangle made of the finest 925 sterling silver finished with 18K gold. The squared gold plated line follows a perfect circle, bended in a subtile angle immediately followed by a crossing line to highlight it even more.The gentle curve on the wrist, which is supported by a straight line, makes it a very special piece of jewellery. Created in Megan Collins' atelier in London Made with love in Arezzo, Italy. 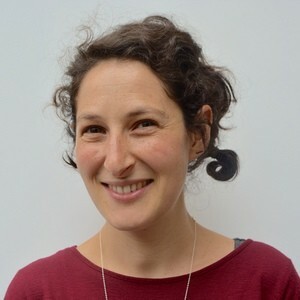 Megan Collins is a contemporary jewellery designer originally from South Africa, now based in London. She has a background in Fashion Design and a Degree in Fine Art from the Nelson Mandela Metropolitan University of Port Elizabeth and a Diploma in Jewellery Design from the VS Jewellery School in London. 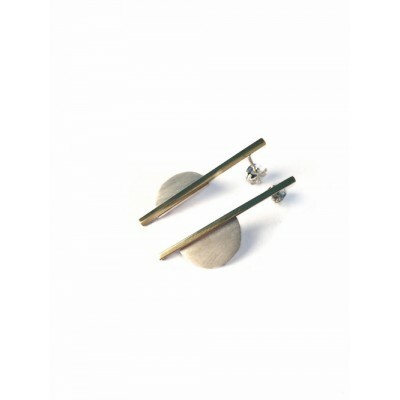 She works mainly in Sterling Silver, using sheet or wire as a starting point, however sometimes uses elements of gold or brass or oxidised components to create contrasts. Most of her inspiration is drawn from natural forms, often ones that reflect her South African heritage.